The Radio NZ story is correct; Dunne retained the Ōhāriu electorate by only 710 votes. Had Green voters given their electorate vote to the Labour candidate, Virginia Andersen would have won Ōhāriu by 2,054 votes and National would have lost one of their coalition partners. 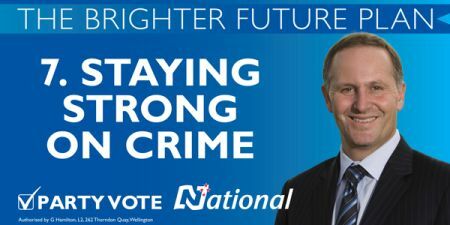 With the subsequent loss of Northland to Winston Peters in March 2015, National would have lost their majority in Parliament and would have had to either rely on NZ First for Confidence and Supply – or call an early election. 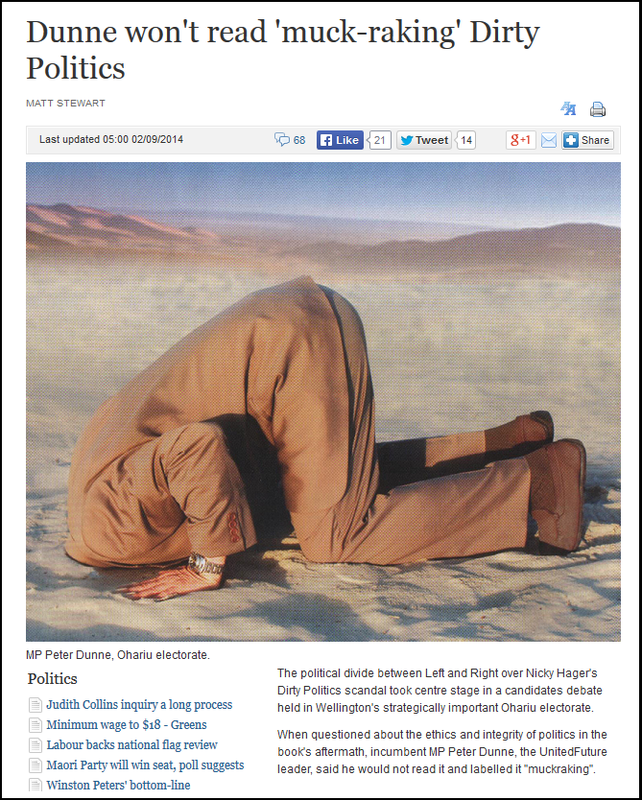 Had Dunne been ousted from Ōhāriu in 2014 our recent history would have been completely altered. Anyone who believes that the Labour-Green accomodation was a “dirty” deal might ponder the ‘rights’ and ‘wrongs’ whilst spending the night in a car or under a tarpaulin. Preferably in winter. “I think New Zealanders will understand that, in an MMP environment, it makes perfect sense for us to not stand a candidate in Ōhāriu. Ōhāriu has a significant impact on the makeup of Parliament. Not standing in Ōhāriu increases the chances that we will be in a position to change the government in September – it’s as simple as that. Shaw has rejected any suggestion that this is a “dirty deal”. Again, he is correct. the Greens and Labour are simply working by the rules of MMP as National determined in 2012/13, when then-Dear Leader Key refused to eliminate the “coat-tailing” provision. Yet, submitters had been fairly clear in their views and failure to obtain “concensus” from the smaller parties in Parliament said more about their own self-interests than public-interest. National seems not to want to disturb the status quo because it discounts its chances of finding stable coalition partners under the simplified system proposed. So the hundreds of thousands of taxpayers’ dollars spent on the MMP Review; seeking submissions; listening to submitters; and providing the Report to Parliament was all an utter waste of money. The “coat-tailing” provision would be set to remain because without it National would find it harder to find potential coalition allies, and therefore govern. It also meant that all political parties now have to play by the same rules, or else be disadvantaged. Labour and the Greens have just done the dirtiest electorate deal in New Zealand political history – and it is all about destroying Peter Dunne. 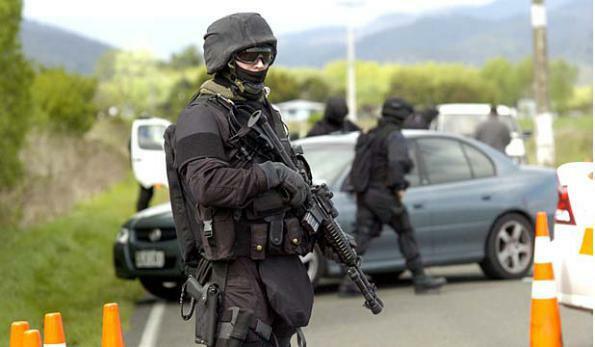 The tree-hugging Greens will not stand in Ōhāriu to help the gun-toting former cop Greg O’Connor win the seat for Labour. This is dirtier than most electorate deals because for the first time in recent history a party is totally giving up on a seat and not running rather than standing but giving a ‘cup of tea’ signal for its voters to go for a minor party candidate. The degree of hypocrisy to Gower’s comment is breath-taking. Note that he suggests that it is preferable to “giving a ‘cup of tea’ signal for its voters to go for a minor party candidate” rather than withdrawing a candidate and openly declaring an accomodation. In effect, a journalist has advocated for “open deception” rather than transparency. Think about that for a moment. By attacking parties on the Left who choose to work together (but not parties on the Right), Gower is either displaying crass ignorance over how MMP works – or undisguised political bias. I will not be surprised if Gower eventually ends up as Press Secretary for a National minister. Postscript: Re Gower’s comment that “for the first time in recent history a party is totally giving up on a seat and not running“. This is yet more ignorance from a man who is supposedly TV3’s “political editor”. 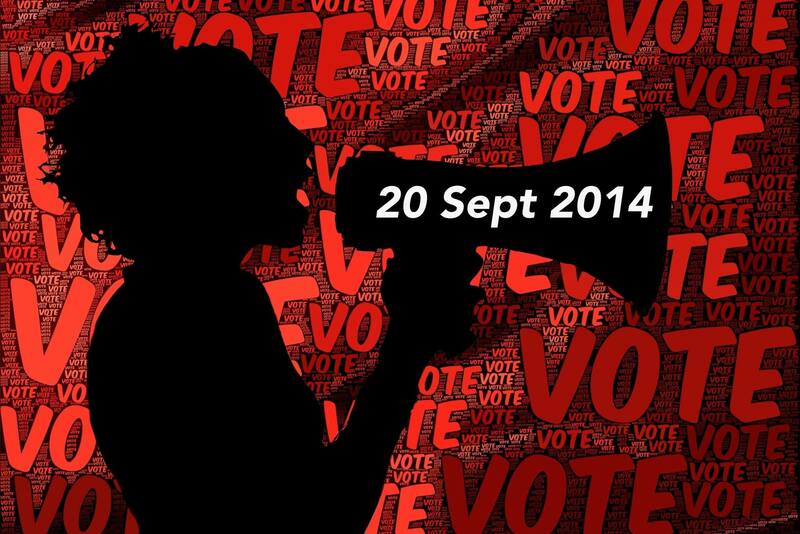 Political parties often do not yield a full slate of candidates in every electorate. The Green party had only 57 candidates out of 71 electorates. Notice that even National did not offer candidates in every electorate. Only Labour fielded a candidate in all 71 electorates. So as usual, Gower’s political knowledge is disturbingly lacking. Or partisan. Take your pick. …Labour and Greens have spent years condemning deals where National stands but tells supporters they only want the party vote, and now they’ve done a deal where they don’t even stand. I don’t have a huge issue with them doing that – the issue is their blatant hypocrisy. They’re so desperate to be in Government they’ll put up with that, but the irony is that if Winston does hold the balance of power and pick Labour, he’ll insist the Greens are shut out of Government. This is sensible and not unusual. Off memory most elections there have been some seats where ACT doesn’t stand a candidate to avoid splitting the centre-right electorate vote. One of the nice things about MMP is that you can still contest the party vote, without needing to stand in an electorate. I think Epsom voters will vote tactically, as they did previously. But the choice is up to them. National may say we are only seeking the party vote in an electorate – but they still stand a candidate, giving voters the choice. Epsom voters are not controlled by National. If they don’t want to tactically vote, then they won’t. All National will be doing is saying we’re happy for people to vote for the ACT candidate, as having ACT in Parliament means you get a National-led Government. So, according to Farrar, it’s ok that “ ACT doesn’t stand a candidate to avoid splitting the centre-right electorate vote“. He describes it as “one of the nice things about MMP“. So as long as a deal is presented dishonestly – “All National will be doing is saying we’re happy for people to vote for the ACT candidate, as having ACT in Parliament means you get a National-led Government” – then that’s ok? Both Labour/Greens and National/ACT have presented electoral accomodations – but in different ways. The other was doing it with a “wink, wink, nudge, nudge”. It is unreasonable and hypocritical to support one side to exploit current MMP provisions to their benefit – whilst expecting others to work to a different set of rules. Perhaps Mr Farrar should look at how National/ACT presents their accomodations to the public – or else do away with the coat-tailing provision altogether. Dunne’s election gave National an extra coalition partner and his win therefore assumes a greater relevance than a “mere” electorate MP. In effect, 1,775 Green voters sent John Key a second Coalition partner, after John Banks. 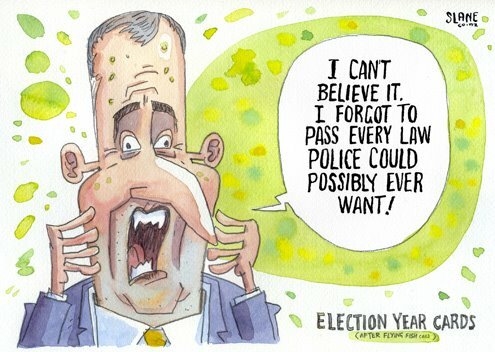 Some Green supporters are either woefully ignorant of MMP – or have been smoking to much of a certain herb. Or, gods forbid, they are so desperate to remain ideologically pure in their principles, that they are willing to allow a right wing candidate to be elected, rather than supporting a candidate from another party on the Left. Had supporters of the Green Party given their electorate votes to Viriginia Andersen, Peter Dunne would have been defeated by 1,336* votes. The Greens need to get it through to their supporter’s heads that giving their electorate votes to their own candidates is a waste of effort and an indulgence we cannot afford. When elections are close-fought and majorities slim, such indulgences cannot be tolerated, and the Greens need to educate their supporters quick-smart, if we are to win in 2017. If there was an element of frustration and anger in my comments above, it was a ‘face-palm’ moment. The poorest families and individuals in New Zealand have paid the price by enduring two terms of National because Green voters chose to indulge themselves by casting both votes for the Green candidate, rather than strategic vote-splitting. I can understand affluent, propertied Middle Class voting for self-interest. I find it less palatable that Green voters cast their ballots for some bizarre feeling of political purity. That is selfishness in another form. Beneficiaries being attacked by a souless government; people living in cars, garages, rough, or crammed three families into one home; people suffering as social services are slashed, will find it hard to understand such selfishness. In the United States, blue-collar workers voted for a populist demagogue. The workers who voted for Trump believed that the Left had abandoned them. We dare not allow the same despair to flourish in our own country. If politics is a contest of ideas; a battle of ideology; then strategy counts. The Greens have woken up to this simple reality. This blogpost was first published on The Daily Blog on 17 February 2017. 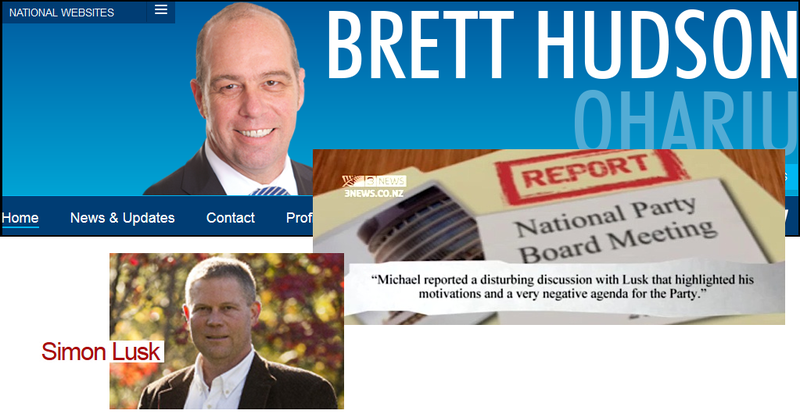 Wellington, NZ, 31 August – At a meet-the-candidates public meeting in the Rongotai Electorate, National’s Ohariu candidate, Brett Hudson, confirmed that he had been approached by “a mate”, who passed on a message from National Party operative, Simon Lusk. Simon Lusk is a far right-wing apparatchik who runs a private, self-styled “candidates school” for potential National Party candidates. Amongst those National MPs linked to Lusk are Taupo MP Louise Upston, Maungakiekie MP Sam Lotu-Iiga, Napier MP Chris Tremain, Rodney MP Mark Mitchell and former list MP Aaron Gilmore. 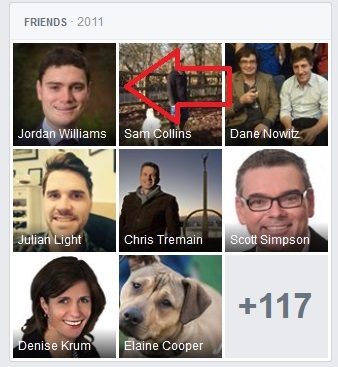 Disgraced Minister, Judith Collins, is also an associate of Simon Lusk. The media reported that some National Party insiders were so concerned by Lusk’s activities that they leaked documents to the media in 2012, and the following year. 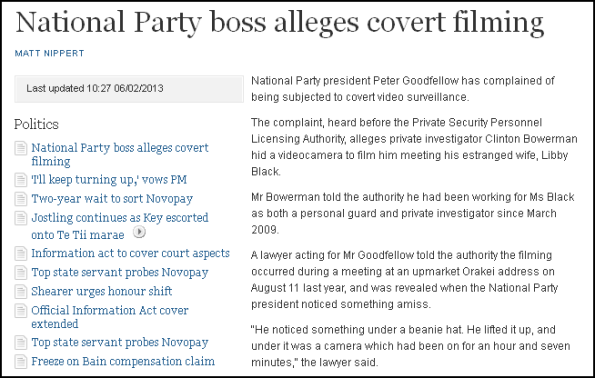 At least one senior Minister, Michael Woodhouse, discussed his growing unease with National’s president, Peter Goodfellow . 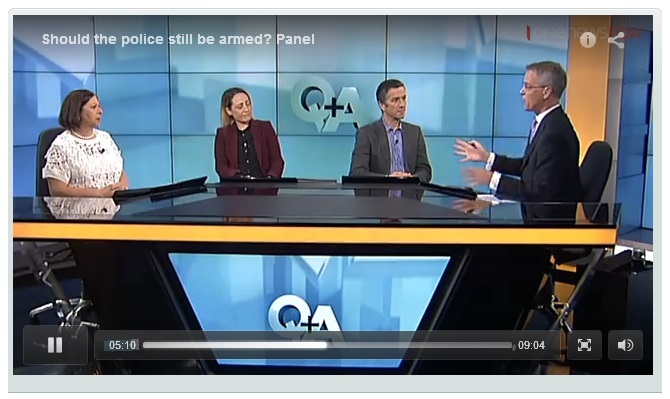 On Sunday, this blogger put a direct question to National’s Ohariu candidate, Brett Hudson, enquiring if he has had any recent contact with Simon Lusk; Lusk’s so-called “college for candidates”; Cameron Slater, or any of their associates. When I enquired who that “someone else” had been, Hudson refused to disclose the name. Hudson stated categorically that the un-named person who approached him was not National Party parliamentary staffer, Jason Ede. “I’ve no contact with Slater or Lusk. I have no intention to never, nor would ever consider entering their scheme. Despite repeated enquiries, he refused to name who the “mate” was who acted as a go-between him and Lusk. Interestingly, Hudson joined Facebook on 5 May 2011, so why would Lusk have offered his services through a so-called third party, rather than FB messaging Hudson directly? 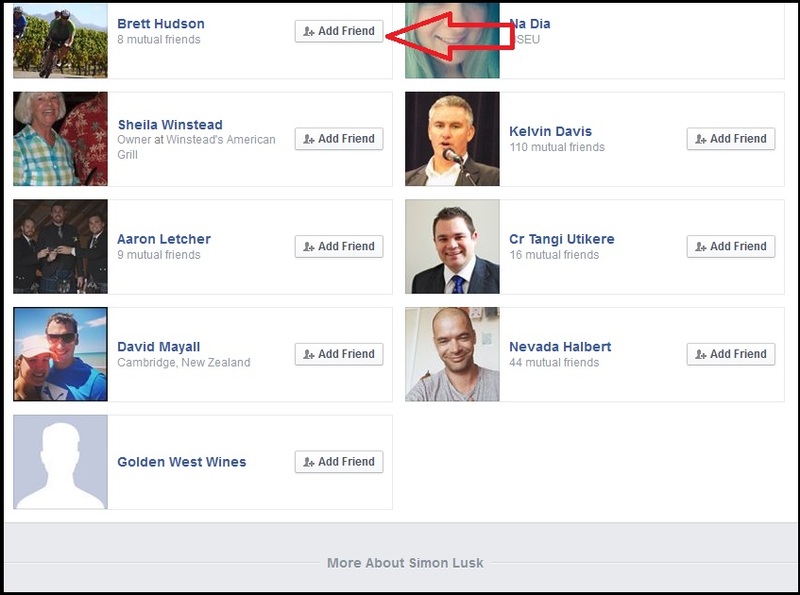 Lusk does not appear on Brett Hudson’s FB friends list. At another public meeting in Rongotai, on the same day, National’s Treaty Negotiations Minister and Attornery General, Chris Finlayson was also asked what dealings, if any, he had had with Simon Lusk or Cameron Slater. “Doesn’t matter, irrelevent,” he replied. “No, irrelevent, just like your question to Chris,” he said. At the conclusion of the public question and answer session, I approached Chris Finlayson and introduced myself. I asked if he would go on record, to answer my question. The Minister seemed quite happy to do so, and added an interesting ‘aside’. When I asked why I should ask Nash that question, Finlayson refused to say why, and instead repeated that I should put the question to him. I’m putting together a story for the Daily Blog, regarding Simon Lusk and Cameron Slater, and your name has come up in discussions with certain people. Can you confirm what dealings you have had with Simon Lusk (or his intermediary) , and what services he has offered you for your election campaign? Have you paid any money for any services he might offer, or has any amount been agreed on? Furthermore, what was the nature of the agreement and did it refer to the Mana-Internet Party? 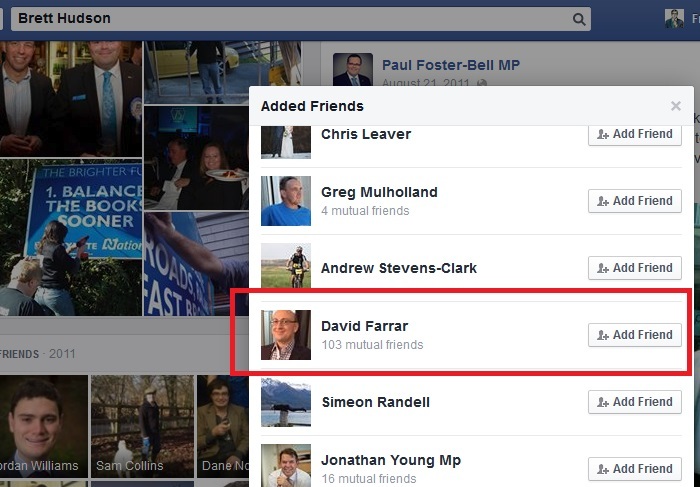 Also, are you aware of other Labour candidates who are currently in contact with Simon Lusk (or his intermediary, or Cameron Slater). I look forward to your responses on these questions, to shed some light on matters that have arisen. The message was seen at 1.46am on 1 September, but no reply has been forthcoming. Mr Nash, if you wish to reply and address the question, the opportunity is still open. 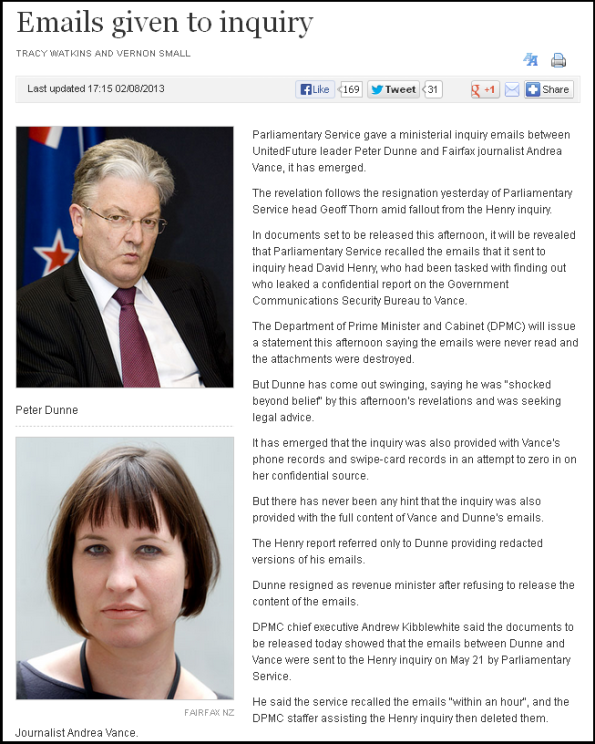 It is the contention of this blogger that Cameron Slater and his dealings are a matter of intense public interest. People who are putting themselves up for election to Parliament should have nothing to hide when it comes to disclosing what contacts they have had with controversial public figures and matters of considerable public interest. I will continue to ask these questions, and noisy supporters of National (or Labour) would be well advised that attempting to shout down the truth does not serve their interests. The Paepae: Simon Lusk in the headlines again! Because as we all know, ignorance is such bliss. Eh, Mr Dunne?